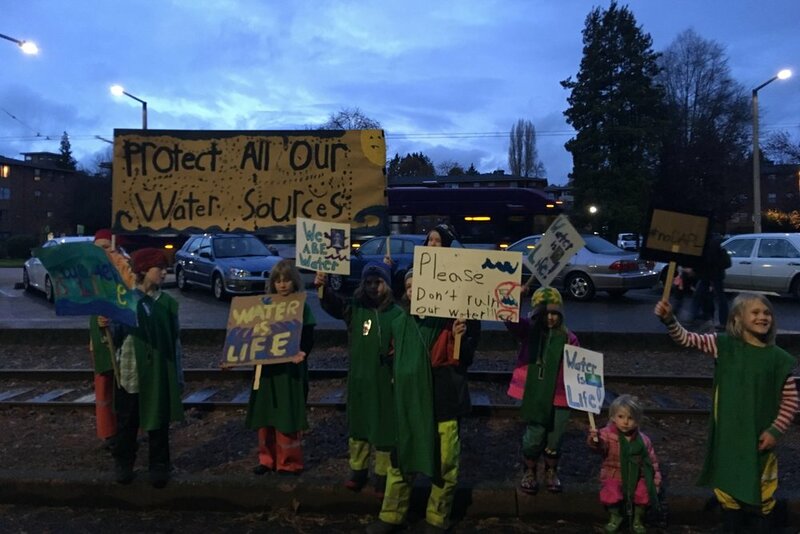 Earth Guardians of Whidbey Island is a new crew that is very excited and full of energy and ideas to protect and restore the environment in their community. They are hoping to let other youth know about Earth Guardians and grow the crew and find other groups to partner with in their island community. This spring and summer, the Whidbey Island crew is also hoping to write and record a song about their intentions for their island home, including putting an end to clear cutting and banning the sale of styrofoam coolers on the island so that they will not end up on the beaches and in the water anymore. They are also planning an information table at a conservation and water stewardship day of classes on their island! In solidarity with Hannah Testa and her formation of Plastic Pollution Awareness Day in Georgia on February 15th, the Whidbey Island crew had an educational table at their local grocery bulk section to show shoppers how easy it can be to bring their own containers - even free and recycled ones - for bulk items instead of using the plastic bags provided. They hope to encourage the store to have more reusable containers and produce bags for sale as well as more bulk options to reduce waste. The crew is also challenging each other to find new ways to reduce personal plastic use.
" On MLK day we did a beach clean up and got lots of trash, more than we expected in the middle of winter! There was a lot of styrofoam, which is particularly bad for our oceans and ecosystems. In the summers, after holidays and visitors come to the island, we see a lot of styrofoam coolers left on beaches. We are hoping to start an action soon toward asking stores on the island to stop selling them and offer affordable reusable options instead, and to help educate visitors to bring their own to the island this summer. Let us know if you'd like to help! 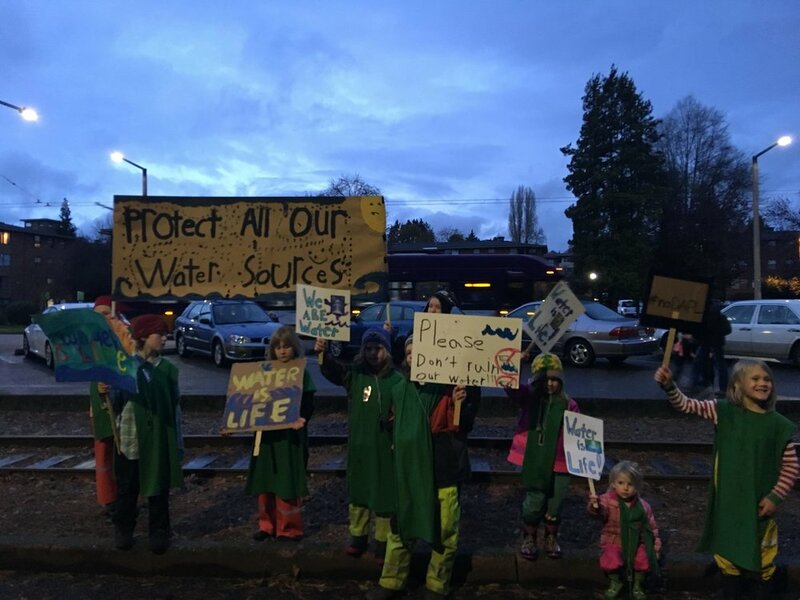 Living on an island surrounded by water, they understood that water is indeed life, and felt called to support the Standing Rock Sioux as a group starting in November, by attending the vigil at the Army Corp of Engineer's locks in Seattle. After that, they found Earth Guardians and decided to form a crew to work globally as well as locally in protecting water sources and finding other ways to defend the earth from destruction and pollution. In December, the crew held a bake sale to support Standing Rock and they learned to use their voices and presence to spread awareness to their community.